This product requires the base game Eador: Masters of the Broken World. 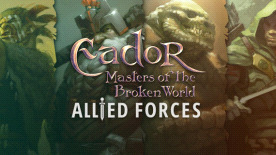 Allied Forces adds 14 brand new units to Eador: Masters of the Broken World. Please note: The base game Eador: Masters of the Broken World is required to activate this DLC.